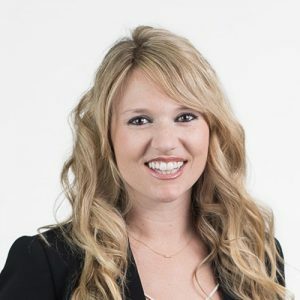 Prior to joining WTJ, Kristi was a Partner in the Professional Liability and Business Litigation Practice Groups of McCormick Barstow where she started her legal career as a Summer Associate in 2009. Kristi has successfully taken several cases through arbitration, trial, and appeal on behalf of her clients and truly enjoys being in the courtroom. Kristi also worked in the past as a Law Clerk at The Law Offices of David I. Semco, a private criminal defense firm, and Fitzmaurice & Demerzian, a general civil litigation firm in San Diego, CA. Additionally, she worked in the counterfeit and fraud division of the United States Secret Service before attending law school. As part of that assignment, she held a top secret security clearance. Kristi’s favorite pastime is spending time with her husband and children—most of the time outdoors on the boat, hiking, skiing, golfing, or wine tasting. Kristi is a Mediator certified through the Better Business Bureau of Fresno, CA and is admitted to practice law before all California State Courts and all U.S. District Courts within California. Kristi was selected for inclusion in the Northern California Rising Stars list (2015-2019) for her primary area of practice in Business Litigation. She is also AV rated by Martindale-Hubbell. Kristi is a member of the State Bar of California, American Bar Association and the Fresno County Bar Association. She is also a member of the Fresno County Young Lawyers Association and served on the Executive Board for several years. Kristi has handled a variety of matters, and focuses heavily on civil litigation. Her main focus is in professional malpractice defense, public entity representation, and commercial litigation, including trade secret, fraud, defamation, breach of contract, unfair business practice, corporate and partnership dissolutions, as well as some land use matters. Kristi also regularly advises government and private entities on legal issues in an effort to help clients implement litigation prevention strategies. Kristi was an Adjunct Professor at Fresno City College where she taught Legal Research and Writing. Additionally, Kristi has volunteered as a coach for Fresno State’s Mock Trial Team and Buchanan High School’s Mock Trial Team. She currently serves on the Executive Leadership Board for the American Heart Association Heart Ball.